Cact. & Succt. J. (US) 34:19, 1962. Type: the type specimen was found by L.& E. Benson in the vicinity of the Marble Canyon along the Colorado River, Arizona, at 1,200m altitude, POM Nr. 16807. Isotype in the Desert Botanical Garden, Tempe, Arizona. Toumeya bradyi (L. Benson) Earle Cacti of the Southwest, ed. 2, 97, 1963. 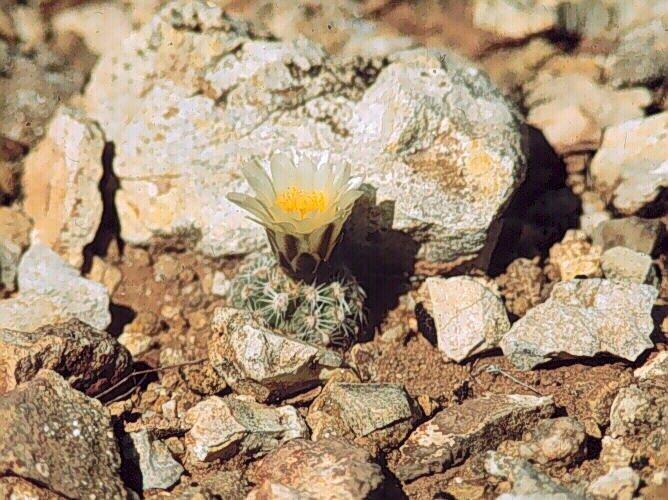 Pediocactus bradyi ssp bradyi, fh 055, Marble Canyon, 1,050m.